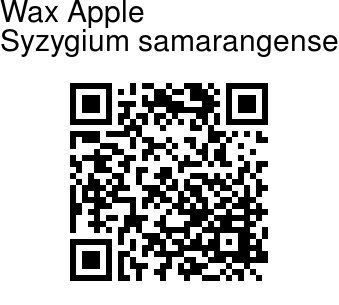 Wax Apple is a tropical tree growing to 12 m tall, with evergreen leaves 10-25 cm long and 5-10 cm broad. They are nearly stalkless, elliptic- oblong, rounded or slightly heart-shaped at the base, yellowish to dark bluish-green. The flowers are white, 2.5 cm diameter, with four petals and numerous long stamens. The fruit is a bell-shaped edible berry, with colors ranging from white, pale green, green, red, purple, crimson, to deep purple or even black, 4-6 cm long in wild plants. The flowers and resulting fruit are not limited to the axils of the leaves and can appear on nearly any point on the surface of the trunk and branches. When mature, the tree is considered a heavy bearer and can yield a crop of up to 700 fruits. 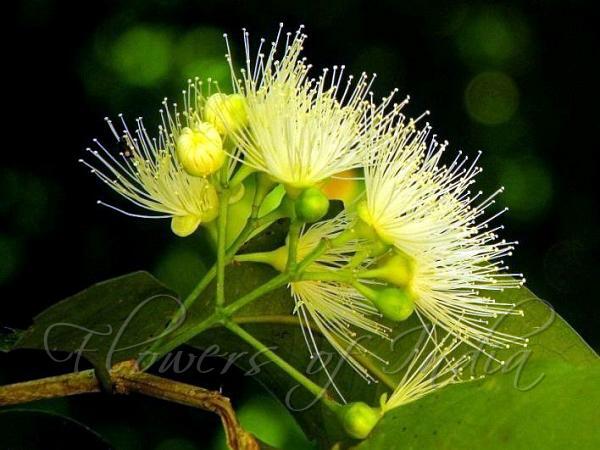 The tree is indigenous from Malaya to the Andaman and Nicobar Islands where there are wild trees in the coastal forests.